2018 showed a record number of new private equity funds raised. This continues the upward trajectory in terms of the number of new funds each year. 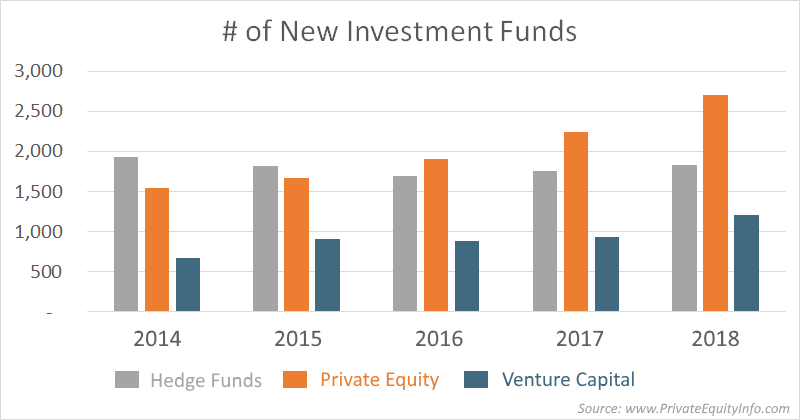 NOTE – venture capital funds continued to increase in quantity as well while hedge funds have remained fairly constant. How Big are the Private Equity Funds? The median fund size has been on a steady decline for the past three years. 2015 saw the peak median fund size raised at $50 million. 2018 shows a median private equity fund size of just $30 million. These seem like small values compared to what we typically think about when we discuss private equity. Most people immediately think $500 million – $1 billion funds. Funds this large most readily come to mind because they receive the majority of the media coverage. But there’s a long tail to the distribution of PE funds in the marketplace. 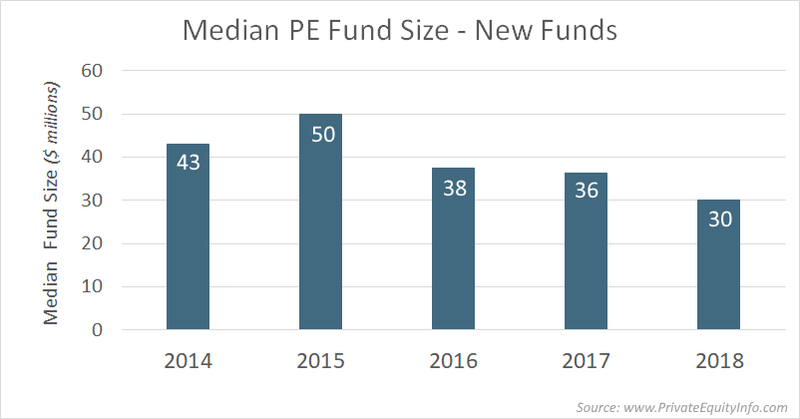 The decreasing fund sizes also confirms the general trend we see in private equity firms moving down market, to mid-market and lower middle market investments.